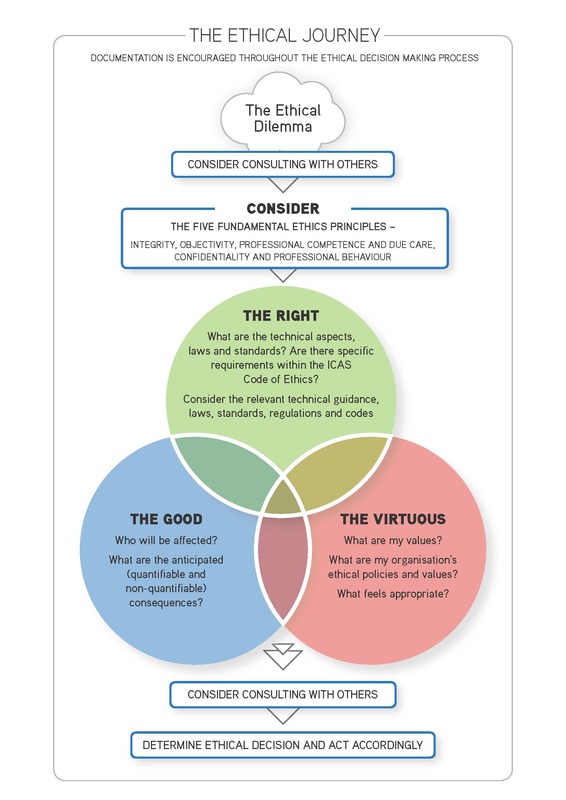 As part of ICAS’ ‘The Power of One’ business ethics initiative, the ICAS Ethics Board has published the guidance paper - “The Ethical Journey – The Right, the Good and the Virtuous” - to help ICAS members make the ‘journey’ from identifying an ethical dilemma to its resolution. For a member of ICAS, ethics includes the consideration of the right, the good, and the virtuous actions to take in a particular circumstance, reaching a judgement, and having the resolve and courage to act accordingly. The aim of this aide-memoire is to draw attention to the fact that there are different ways of looking at ethical dilemmas, and how people make decisions – that there are a variety of ethical perspectives which might be useful when thinking about an issue. 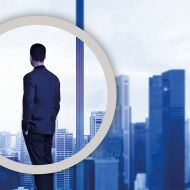 It is hoped that this framework for analysis will encourage members to pause for thought, and to reflect, and thereby broaden their perspective when facing an ethical decision, and aid their ethical decision-making process. The full guidance paper is available for download or alternatively, the "Abridged Version" provides an outline of the key points within the full guidance paper. Read more about The Power of One.